Dr. Seuss had a way with words that just make sense. I only recently came across a biography that suggested a purpose behind his writing was to help children be more socially just. It seems there is a message in there for adults. I feel freer than free. That is me-er than me. In honor of the delightful Dr. Seuss. Thank you Russ. He had a way with words. 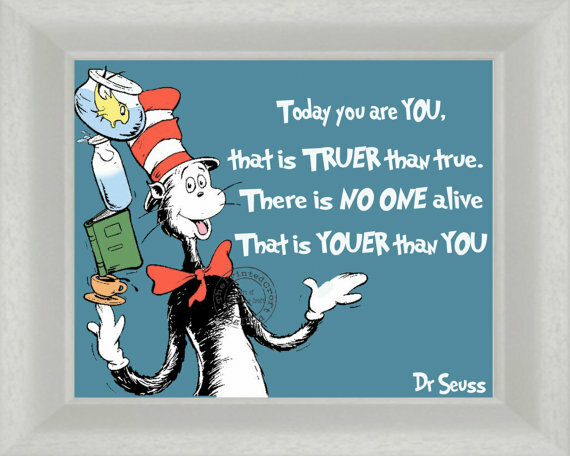 I love the powerful message alive in such simple words…Dr Seuss’s words are still awesomely powerful! Have a wonderful and blessed weekend my brother! Thank you Wendell. Take care and enjoy. I like this, this is cute.—Hope that you have a good weekend, stay safe, enjoy. Thank you on all counts. Take care and stay safe.